Can an arts education make a difference? What happens after high school arts school students graduate? Author Susan K. Elliott Hamm and photographer Vonda Kaatz Klimaszewski answer these questions by tracing the careers of dozens of students from Booker T. Washington High School for the Performing and Visual Arts in Dallas, Texas. 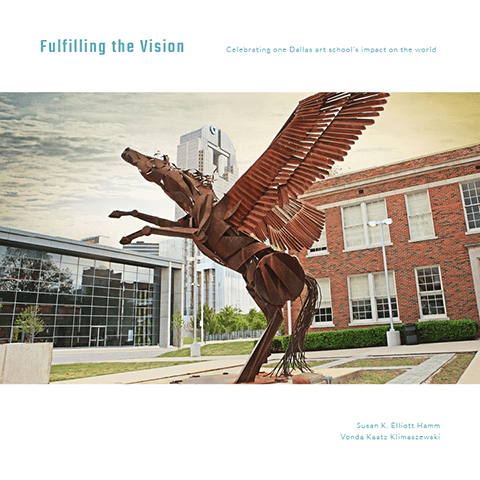 This beautiful 10x10-inch coffee table book features dozens of portraits and interviews with graduates from this highly acclaimed arts magnet high school to mark the school’s 40th anniversary. And popular authors such as Pulitzer-prize nominee Matt Zoller Seitz and NY Times bestseller Scott Westerfeld. Years in the making, this book tells the story of creativity and where an arts education can lead. Artists featured include costume, jewelry, clothing, car, video game and graphic designers, and even a robotics designer. Also: educators, theater directors, Hollywood and Broadway producers, filmmakers, rock stars, actors, actresses, playwrights, and musicians of every possible genre, including jazz, soul and R&B singers, classical pianists and saxophonists; plus choreographers, Broadway dancers and composers.